Opened in December of 1999, the Silver Dollar is the longest running bar on upper King Street. Located in the heart of downtown Charleston's night life district, the "Dollar" is renowned for our fun, relaxed atmosphere. With nightly live music, dance floor, great drinks, and innovative drink specials, the Silver Dollar has provided Charlestonians a place to unwind for generations. 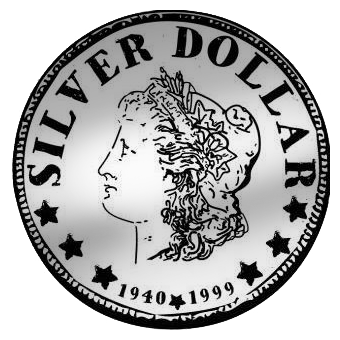 The Silver Dollar was named in remembrance of the legendary Silver Dollar bar located on Washington St in Boston during the 1940s, owned by Harry Sher. Along with being an immensely popular destination for soldiers during World War Two, the Silver Dollar boasted the longest bar in the country, measuring over 100 feet. Harry's grandson Steve Sher moved to Charleston and opened the Silver Dollar at 478 King St on Dec. 30, 1999. Now the longest operating bar on upper King St, the Dollar continues to entertain our patrons with nightly live music, delicious cocktails, and innovative drink specials.